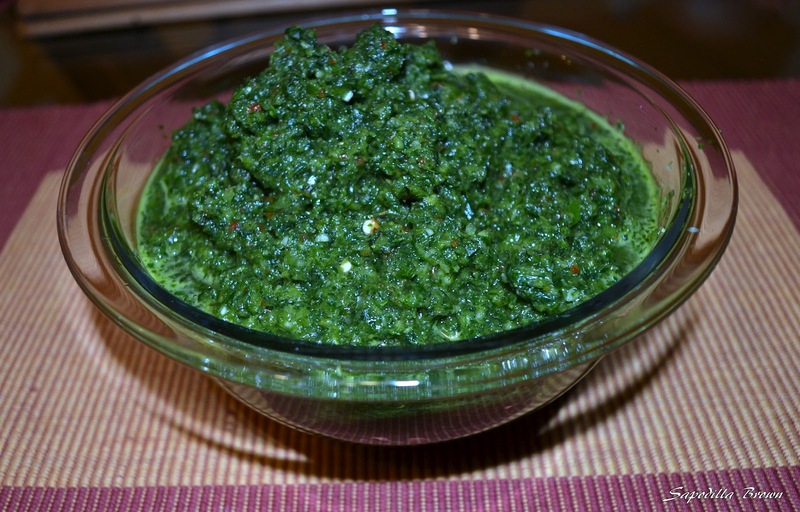 Green seasoning is used throughout the West Indies to flavor fish, poultry, meat, stews, soups etc. It consists of a variety of fresh herbs that have been combined in a blender or food processor along with hot pepper, onions, garlic and some salt. 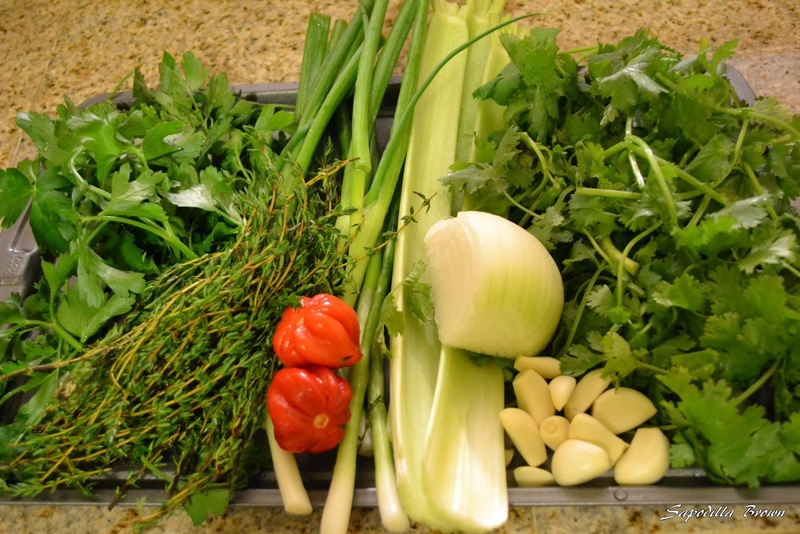 Herbs can include thyme, cilantro, basil, parsley, rosemary, scallions, celery, chives, sage etc. In Trinidad, green seasoning is never without chadon beni or culantro, not to be confused with cilantro. Yes, green seasoning! I was not familiar with it at the time because my parents never made it. They simple prepared their fresh herbs for cooking on a daily basis. More like I prepared the fresh herbs for them on a daily basis! I remember having to peel countless cloves of garlic, and chop onions and fresh herbs after school. My father would leave out the ingredients for the evening meal and I knew I had to get busy getting them prepared before he got home from work. It is a matter of preference but I will say that making green seasoning saves you some time in the kitchen and is a great way to preserve your herbs. The other beauty of making your own green seasoning is that there really is no exact recipe to follow. You simply blend your favorite herbs with the hot pepper, onions, garlic and salt and you are good to go! Add the various ingredients to food processor and process. Depending on the size of your food processor, you may need to do this in several small batches. Note: Some people add a little water, vinegar or oil to the herbs while processing in order to provide some moisture. I tend to not dry my herbs completely so I skip this step. Green seasoning should be stored in the refrigerator in an air tight glass jar. This looks amazing! I'm going to make up a batch this week! I'm so glad I saw this one. Thanks Buttoni! Let me know how it turns out.